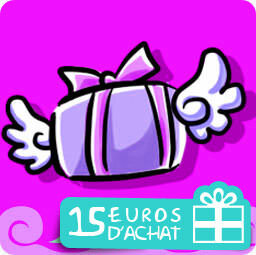 Gifts and Coupons: CADEAU-15€ d'achat (hors frais de port) - Surprise kawaii ! CADEAU-15€ d'achat (hors frais de port) - Surprise kawaii ! You can contact us directly through this link. While navigating on this site, you accept cookie's usage.